Now you can have your own personal aurora around your neck! 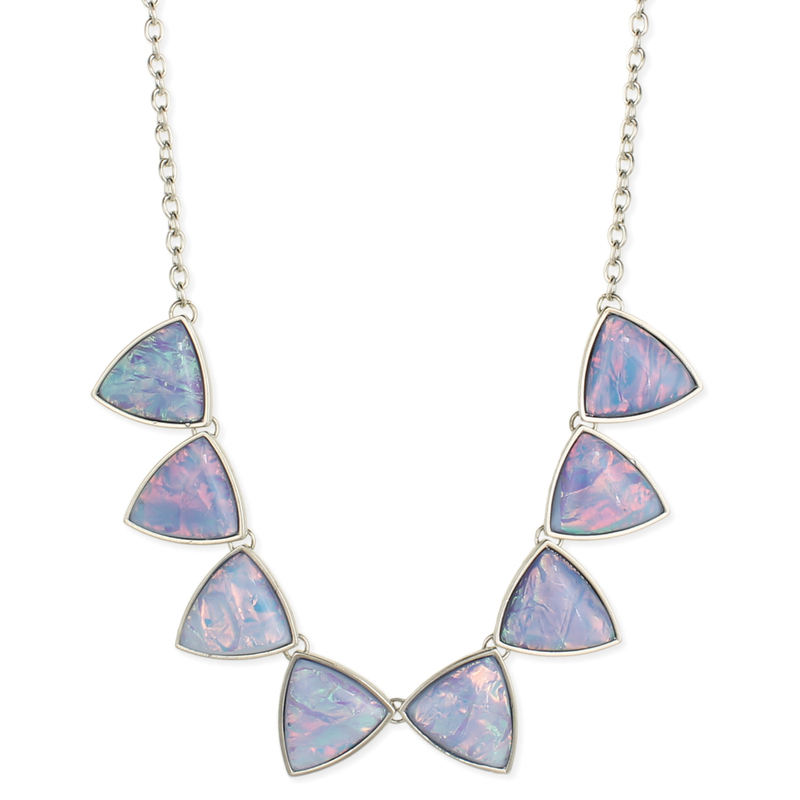 Silver link chain necklace features a bib of opalescent iridescent shimmering triangles. 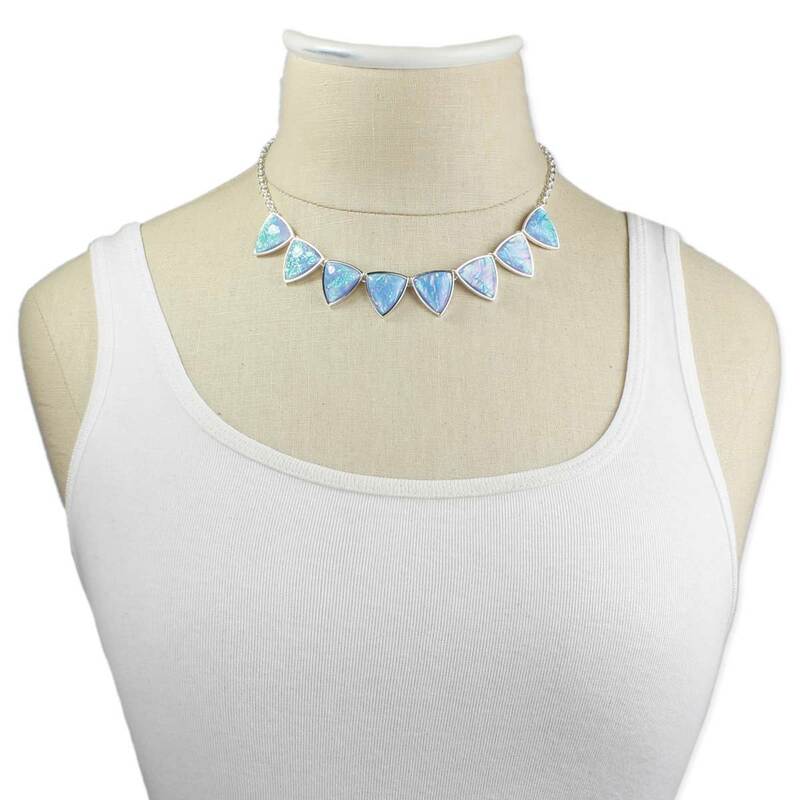 This necklace will shimmer and reflect multiple colors as you move throughout the day. Wear this necklace to brighten up your day!